Always looking to help others, Roberta Gibson Pevear embarked on a long career of community service. She was a member of the New Hampshire House of Representatives from 1979 to 1988, and was instrumental in the development of an evacuation plan for the Seabrook Station nuclear power plant in New Hampshire, which she considers a professional highlight. While in the government, Ms. Pevear served as the Clerk of the Environment and Agricultural Committee. She also has experience as the Commissioner of the Rockingham Planning Commission and the New Hampshire Planning Commission, as well as the Chairman of Rockingham County Home and a Civil Defense Director for Hampton Falls, N.H.
Outside of her government service, Ms. Pevear was also very active in business. She was the Secretary to Owner of Wilner Wood Products, Export Secretary of Whitaker Cable, District Secretary of Anheuser-Busch, and Legal Secretary with an Officer of Johnson & Johnson. She went on to join Law Firm of St. John, Ronder & Bell, Kingston as the Secretary to Mr. St. John and Sears-Roebuck and Co., in Administration. While serving in the N.H. Legislature, Ms. Pevear was a Sales Agent for Avon products. She prepared for her endeavors by earning a diploma in commercial art from Gould Academy in 1947. To stay connected to developments in her fields and community, Ms. Pevear became involved with a variety of professional organizations. She is a member of the Exeter Chapter of DAR and the Chairman of the Veterans Committee, where she sponsors Liberty House, a transitional home for homeless veterans in Manchester, N.H. Ms. Pevear has also served on the Board of Directors of the Exeter Sportsman’s Club for three years, and previously served four years as Regent of the Ranger Chapter of DAR in Portsmouth, N.H. She is affiliated with the National Order of Women Legislators, the N.H. Order of Women Legislators, and the National Association of Professional Women. Ms. Pevear’s hard work and dedication have not gone unnoticed. She was named Inspirational Woman of the Year by the Women’s Radio Network in 2014 and won the Woman of the Year Award from the National Association of Professional Women in 2013, the Seacoast Retired Senior Service Award in 1985, and the Community Citizen Award by Hampton Falls Grange in 1982. Further, she was featured in the May 2017 issue of American Legion Auxiliary Magazine, as well as in numerous editions of Who’s Who in America, Who’s Who in American Politics, Who’s Who in the East, Who’s Who in the World, and Who’s Who of American Women. 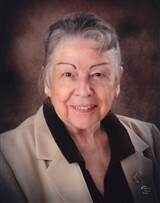 Now in retirement, Ms. Pevear enjoys pursuing writing, portrait painting and genealogy. One of her proudest moments was co-editing a Civil War true story, “Write Quick: War and A Woman’s Life in Letters,” which is more than 500 pages. It is currently in development as a film, to be called “Heartache: A Woman and the Civil War,” and is available in the State House Library and DAR Library in Washington D.C.